Barebow Hunters Podcast... Where we look to the ancient paths of our hunting ancestors to guide our future. Where woodsmanship and hard work outweigh advance shooting devices. Where we value those who have gone before us, and welcome those who are yet to come. join us as we exchange valuable insight about the Barebow Hunters lifestyle. Traditional Archery Super 10 with Jake Downs. 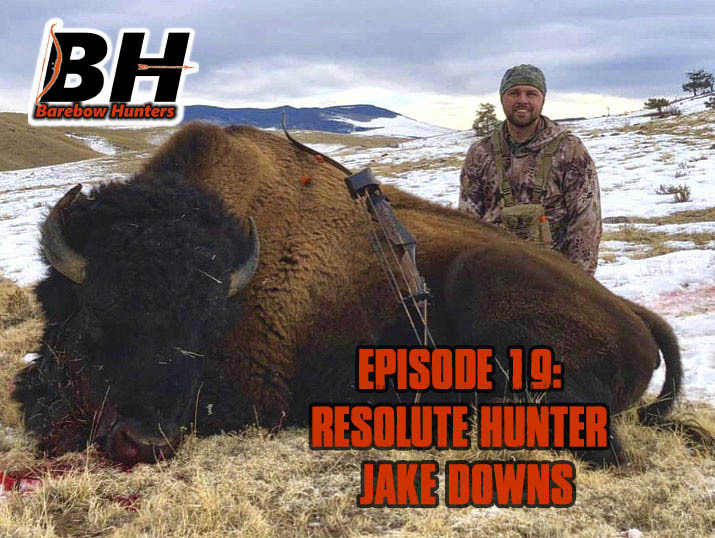 Join Nate as he and Jake talk about Bison hunting and Jakes super 10 accomplishment with Traditional Bowhunting Gear. If you like this podcast please help us by subscribing, leaving us a review, and visiting our sponsors. 3Rivers Archery- Your longbow and recurve specialist. Aron Snyder: Backcountry Gear, Blacktail Deer, and Getting people into Traditional Bowhunting! Join Nate, Jerry, and Aron as they talk about Backcountry Gear, Blacktail Deer, and Bringing people into Traditional Bowhunting. Please support the people who help bring this to you. Jerry and I sit down and talk with Big Jim from Big Jim's Bow Company. We talked Bows, Hunting Stories, And Hanging out in the Traditional Bowhunting ...the Bowhunting ... Community. Deflate the land grabbers cause across the west. Provide conservation dollars for the west. Join us as we talk Arrow Penetration, The factors that impede it, and the equipment that's designed to improve it. Todd Smith talks about how Grizzly Stiks Arrows used the Dr. Ashby's Lethality reports and made a complete shooting system that takes advantage of all of his research.